The promotion can not be combined and is eligible for new players registered on our site beginning with 15th of April 2015. 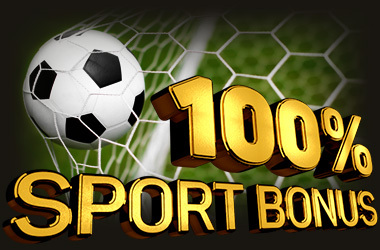 In order to qualify for the 100% deposit bonus, the initial deposit must be at least 10 EUR. The maximum bonus amount is 200 EUR. The bonus may be cancelled per customer’s request. However, it will be available 48 hours available for reactivation. The maximum stakes for an active bonus wagering is €10 (Or Currency Equivalent) per game round and any bets placed above this limit may result in account closure and forfeit of any winnings derived throughout and following wagering of the bonus. ArgoCasino.com bonuses are offered for the entertainment purposes only. In case bonus or deposit funds are not used for the sole purpose of gaming, ArgoCasino.com reserves the right to blacklist the players, void all winnings and refund the original deposit to the player. Any bonus can be removed. In order to cancel it, there is necessary to contact Customer Support via Live Chat. Any bonus credited by ArgoCasino.com can be used in conjunction with other promotions. This promotion has no cut off date, however ArgoCasino.com reserves the right to modify the rules or cancel this promotion at its sole discretion. This is in the interest of fair play considering that any wager in our games can return a sizable winning. If a player wins a sum regarded by Casino Management as worthy of publicity, the player must agree to allow ArgoCasino.com management to use any comments on our site or forums for promotional purposes. The player’s personal information will not be provided to any third party however, ArgoCasino.com reserves the right to disclose the players Casino Username in Casino press for publicizing the Promotion or contest results only. In the event of any dispute, you agree that the decision of ArgoCasino.com is final and unconditional. ArgoCasino.com reserves the right to void the bonus in case the player fails to comply with any of the provided Terms and Conditions. General Terms and Conditions for ArgoCasino.com apply for this bonus. Customers located or domiciled in United States of America are not permitted to open accounts or make any deposits. This list of jurisdiction0s may be changed by the Company from time to time with or without notice. You agree that you are not allowed to open an account, nor attempt to use Your Account, if you are based in this (these) jurisdiction (-s). Feel like a hero - win more with our WEEKLY REWARD Bonus up to 1000 EUR! Get 15% Cash back bonus for Net losses of your deposits made during the week. The Bonus is offered in Live Chat on player's request. 15% Cashback Bonus is granted once a week on Monday to Wednesday on net losses only. The Bonus has a requirement of 40 wagers of the initial bonus value unless stated otherwise. The maximum withdrawal amount of funds received using the "Weekly Refund" bonus is 1000 EUR in the equivalent of the account currency. Bonus can be removed per customer’s request. In order to cancel it, there is necessary to contact Customer Support via Live Chat. Any bonus credited by ArgoCasino.com can be used in conjunction with other promotions. ArgoCasino.com has no fixed deadline for participation, however we reserve the right to modify the rules or cancel this promotion at its sole discretion. This is in the interest of fair play considering that any wager in our games can return a sizable winning. If a player wins a sum regarded by Casino Management as worthy of publicity, the player must agree to allow ArgoCasino.com, management to use any comments on our site or forums for promotional purposes. General Terms and Conditions for ArgoCasino.com Bonuses apply for this bonus. 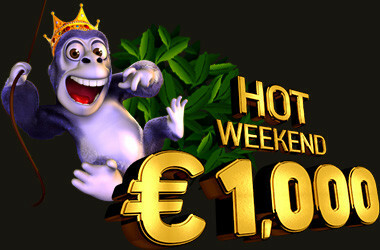 On weekends, Argo-Casino.com prepared for you a special 40% Hot Weekend Bonus! Each weekend, You may receive a 40% Bonus up to 1,000 EUR on your first deposit made on Saturday or Sunday. Get lucky with our Weekend Bonus! The minimum deposit amount to participate in the promotion is 20 EUR, the maximum bonus amount is 1000 EUR. The bonus can't be combined with any other offer or promotion. ArgoCasino.com promotion has no fixed deadline for participation, however we reserve the right to modify the rules or cancel this promotion at its sole discretion. This is in the interest of fair play considering that any wager in our games can return a sizable winning. General Terms and Conditions for ArgoCasino.com Bonuses apply for this bonus..
Every weekend at ArgoSport comes a super-fast Express, which will take you to high scores. 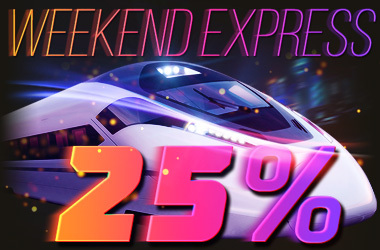 The speedy train rushes along the way with increased Bonus odds up to 25% on Sports Betting Rates. The Bonus coefficient increases along with the number of events in the Express. Do you like Sport, Speed and High Coefficients? Then jump into the "Weekend Express" and rush to meet the Winnings! Terms and conditions of ArgoCasino.com apply for this bonus. Welcome to ArgoSport! Make your first replenishment of the account, and we will add you a 100% bonus, which will introduce you to our Sports Book. Play longer and win more in ArgoSport! This bonus is not automatically credited and can be obtained by contacting Live Chat or e-mail support@argocasino.com. If you win a large sum in ArgoSport.com, considered by the Casino administration as worthy of publicity, the player must agree to disclose the won amount in the comments on the forums, ArgoSport.com website, and also in other media for promotional purposes. If there is any dispute, the decision of the ArgoSport.com administration is considered final and not subject to discussion. This promotion is valid in accordance with the ArgoSport.com Terms and Conditions from November 1, 2017. 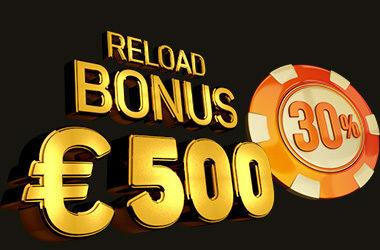 ArgoCasino.com offers you 30% Weekly Reload Bonus up to 500 EUR! Make a minimum deposit in the amount of 20 EUR during the week (Monday Friday) and enjoy our generous 30% Bonus. The promotion can be combined and is eligible for new players registered on our site beginning with 15th of April 2015. In order to qualify for the 30% deposit bonus, the initial deposit must be at least 20 EUR. The maximum bonus amount is 500 EUR and it can be received once per week. The Bonus has a requirement of 40 wagers of the initial bonus value unless stated otherwise. Bets placed in Roulette games, Card games and Baccarat and Craps games are not counted when the bonus is wagered. You need a minimum 10 points to be able to redeem your bonus. 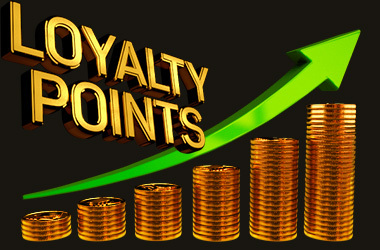 The maximum amount of converting loyalty points is 4000 LP per month. Your Status depends on how many "Jasons" you have earned since joining our casino. As well, the status of your account will increase the longer you play at ArgoCasino. Diamond (number of points required from 12.500). Argo Casino reserves the right to void the bonus in case it is not used in 6 months or more. The maximum withdrawal amount of funds received with the 'Loyalty Points' bonus is 1000 EUR in the equivalent of the account currency. Bonus can be removed per customer’s request. In order to cancel it, there is necessary to contact Customer Support via Live Chat. Any bonus credited by ArgoСasino.com can be used in conjunction with other promotions. When the clock breaks through midnight, Bonuses increase incredibly, slot machines start flickering with hypnotic lights and the Party at ArgoCasino begins. Join the hot rhythms of the night life and get a 50% Bonus on your deposit. Blow ArgoCasino dance-floor with your Wins! In order to receive 50% Bonus write Promo Code PNight50 on Live Chat. The minimal deposit to receive this Bonus is 30 EUR. The maximum amount of the bonus is 200 EUR. 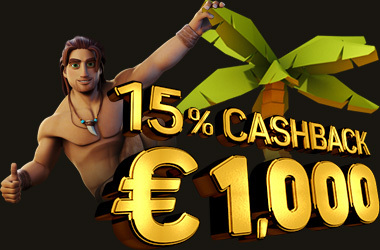 Maximum withdrawal amount for the Night Party bonus constitutes €1000 in the equivalent currency of the player account. Bonus Policy of ArgoCasino.com apply for this bonus. Customers located or domiciled in United States of America, United Kingdom, France, Izrael and Republic of Moldova are not permitted to open accounts or make any deposits. This list of jurisdictions may be changed by the Company from time to time with or without notice. You agree that you are not allowed to open an account, nor attempt to use Your Account, if you are based in this (these) jurisdiction (-s).